All the way from San Francisco, the Benefit buzz started way back in 1976, when twins Jean & Jade Ford created the beautiful legacy that we know and love today: Benefit Cosmetics. Set for success since day one, Benefit’s care-free and glamorous attitude towards beauty revolves around their favourite cosmetic: laughter. 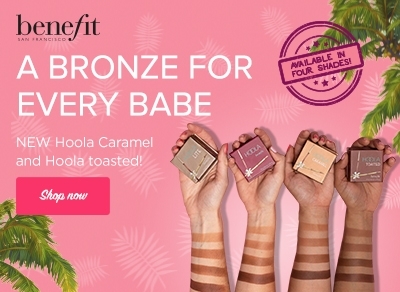 With their complete range of fast and fabulous beauty at your finger-tips, there’s no better way to look and feel good, whilst trying to be the best version of you with Benefit Cosmetics’s line-up of iconic makeup heroes.